Gorgeous Lighting Co.,Ltd. 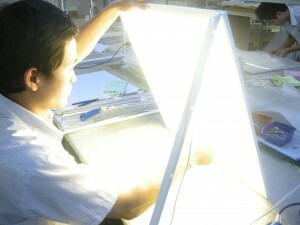 is one of the earliest LED light panel suppliers, who has more than 5 years in developing and selling LED panel lights. 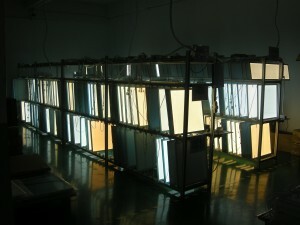 The panels show a higher brightness than ordinary fluorescent lamps and conventional incandescent lamps. As many years of experiences in lighting industry, Gorgeous Lighting not only has realized high luminous efficiency and energy efficient, outstanding output light performance, high efficient thermal management and long lifespan are the basis to produce a successful LED light panel, but also has made a great progress on LED panel light technology. 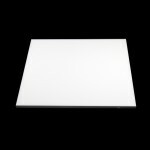 LED ceiling light panels are made with super bright SMD LED, high performance aluminum housing, unique optical materials, and isolated constant current driver. Switch on instantly, no gradual warm-up. Energy-saving more than 75%, no mercury inside, no infrared rays, no ultraviolet radiation, etc. The product made by us is in attractive external appearance, Super Slim light housing, the whole thickness of LED lighting panel is only 7mm. High Quality Aluminum materials and PMMA light diffuser. Superior optical designs enhancing the brightness. The luminous efficiency is as high as 90% and will be higher. Dimmable LED panel: Our product is in highly compatibility with the general dimmers in the world. It is able to dim the light by different dimming functions such as Dali, Triac dimming (phase-cut),0-10v PWM etc. The light color can be RGB changing or single color (warm white, daylight white, cool white, and others). LED Panel types: we produce flat panel and round panel light to meet different needs of the market. The sizes of the flat panels can be 300*300mm,300*600mm,300*900mm,300*1200mm,600*600mm,600*1200mm,626*626mm or customized. Long Lifespan & Maintenance Free Over 50000 hours/20 years (7 hours per day). The light panels produced by us last significantly longer than others due to the quality is our basis to success. LED panel light is different than LED downlight or tube, its output light is quite uniform and comfortable. LED light panel is versatile, easy to install and very easy to manage. The installation way can be Recessed or Pendant or Surface mounted. It is a perfect light fixture in hotels, bars, restaurants, cafes, schools, office room, supermarket, kitchen room, etc. Gorgeous Group Limited is the leading Supplier of LED Light Panel based in Xiamen,China.